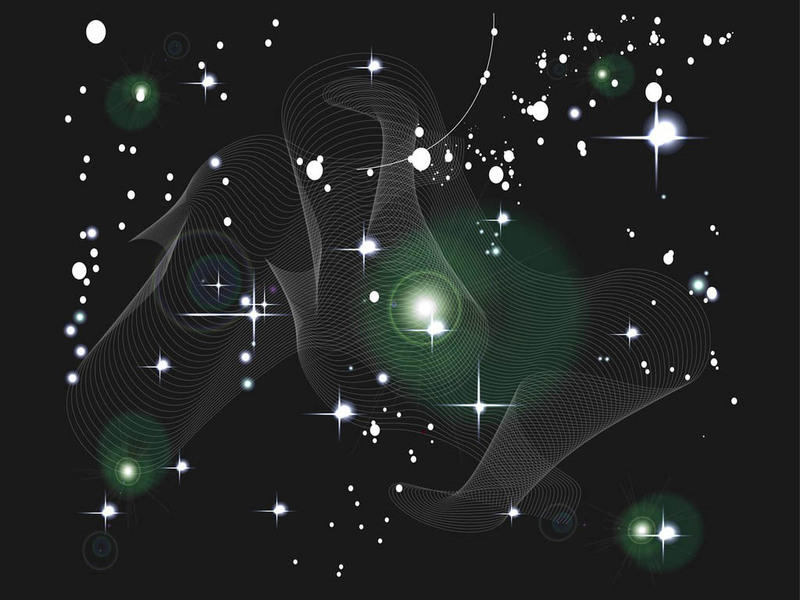 Abstract vector illustration of shining stars in the night sky. Curved lines, bright lights and sparkles and small dots decorating the versatile design. Great decoration for all your night sky, astronomy, astrology, astronomer, space exploration and fantasy designs. Free vector to use as a wallpaper, background or poster. Tags: Abstract, Astronomy, Decorations, Lights, Lines, Night Sky, Stars.